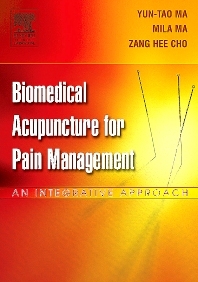 Synthesizing biomedicine and traditional acupuncture, this unique clinical manual allows medical professionals to learn acupuncture and implement it immediately into practice with ease. Biomedical Acupuncture for Pain Management explains the biomedical mechanism of acupuncture, as well as the non-specific nature of acupuncture and its neuro-psycho-immunological modulation. This straightford system of acupuncture – termed INMAS by the authors – provides a quantitative method to predict the effectiveness of treatment for each patient and an individually adjustable protocol for pain patients.